The BJP's planned "Save Democracy" yatras was blocked by the state government that feared the procession might trigger communal violence in the state. 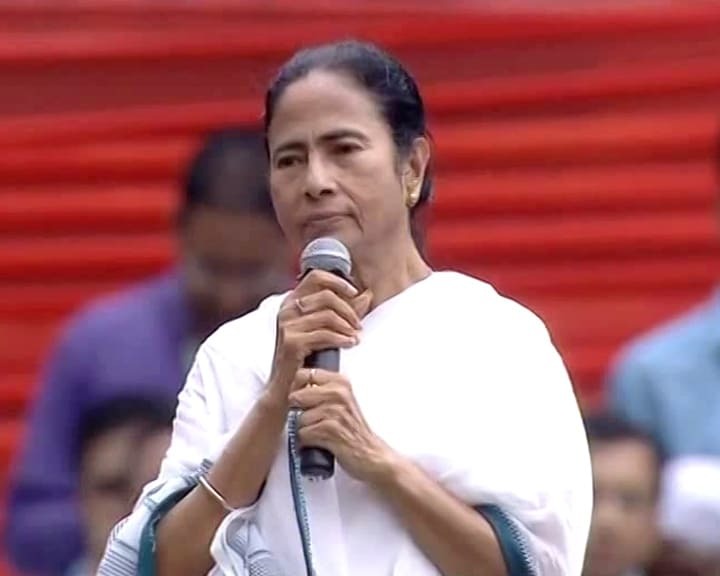 Days after the Supreme Court refused an urgent hearing by the BJP to allow its pan-Bengal rath yatra, Chief Minister Mamata Banerjee in a veiled attack on the Amit Shah-led party today dubbed the rallies as "danga yatra", implying the BJP wants to create ruckus. "There are yatras for Lord Krishna and Lord Jagannath, we take part in thoserath yatras. Those who carry out yatras to kill common people indulge in danga yatras," she said at a function in Sagar Island, around 80 kilometers from Kolkata. The BJP's planned "Save Democracy" yatras was blocked by the state government that feared the procession might trigger unrest in the state. The Calcutta High Court first allowed the party to carry out its plan. Days after the verdict, the court quashed its own order, barring the party from taking out the processions that were to start from three different locations in the state, crisscrossing it before converging in Kolkata. The BJP then moved the Supreme Court requesting an urgent hearing, which was denied earlier this week, derailing the party's plans. Ms Banerjee also launched a scathing attack on BJP leaders, calling them 'bhogis' (people indulging in material enjoyment). "These so-called 'yogis' (holy men) are not 'yogis' but they are 'bhogis'. They've suddenly started giving diktats to people on religion. Who are they to decide? My faith is my choice. We are secular, pray to all Gods and respect all religions. We love the Hindu religion as much as Islam, Sikh religion and Christianity," she added. Ms Banerjee, who is one of the most bitter critics of Narendra Modi's policies, is at the forefront of talks over a proposed alliance of regional parties with the Congress for general elections due in the next few months. She was also approached by Telangana Chief Minister K Chandrashekar Rao who is holding meetings with regional leaders with his idea of a federal alliance, without the Congress.